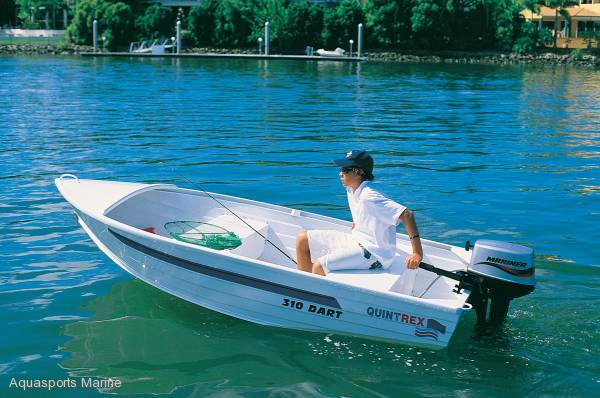 Quintrex 310 Dinghy sold as Hull only or package one up with the worlds most popular outboard - Mercury. 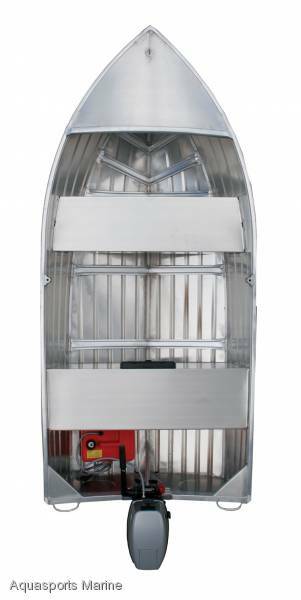 We bulk purchase all of our dinghys so we can pass on the freight savings to you. We will not be beaten on any Quintrex boat package deal. Sale now on!!! An easy boat to get started in or stay in! Built on strong 1.35mm clinker pressed side sheets, this well constructed model is light for easy handling. Weighing in at only 61kg, don't be fooled by it's size, this is one sturdy little tinnie.